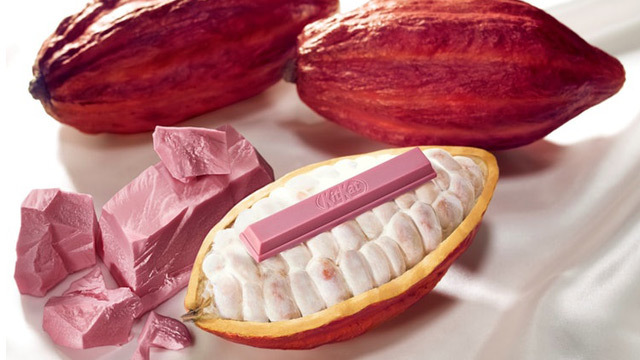 It's sweet, salty, and delicious. 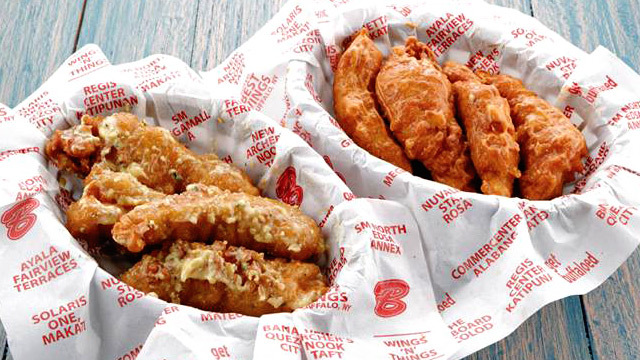 (SPOT.ph) Cheese can make anything better, even sweets—and you only have to look at cheesecakes and cheese tarts for proof. 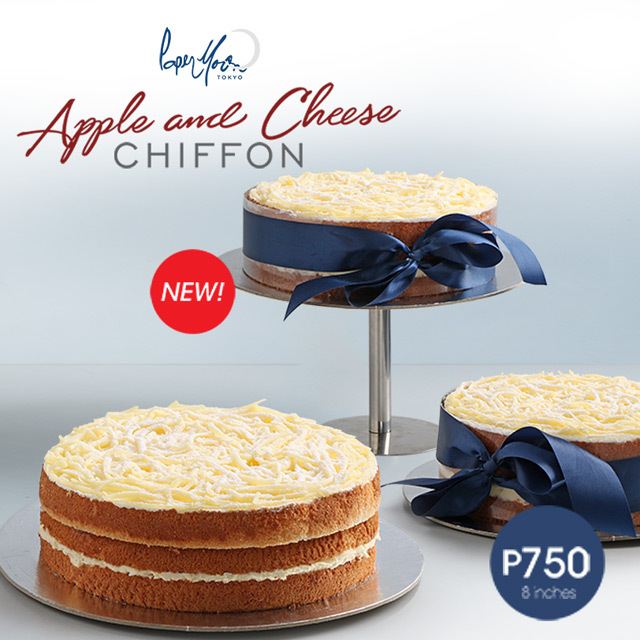 If your tastebuds are looking for a novel sweet-salty experience, Paper Moon's new cake may just be up your alley: introducing the Apple and Cheese Chiffon (P750/eight inches). The newest cake from the Japanese pastry café starts with a layer of cheddar cheese and cream cheese mousse. 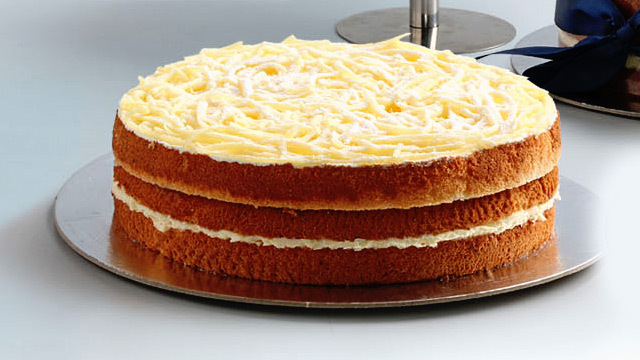 This is then topped off with layers of vanilla chiffon cake and apple filling, then finished with fresh cream and grated cheddar cheese. The result is a blend of tart and sweet from the apples and cake, with sharp, salty notes of cheese to balance the flavors off. You're bound to polish off more than a slice, especially when you have a cup of coffee on the side.